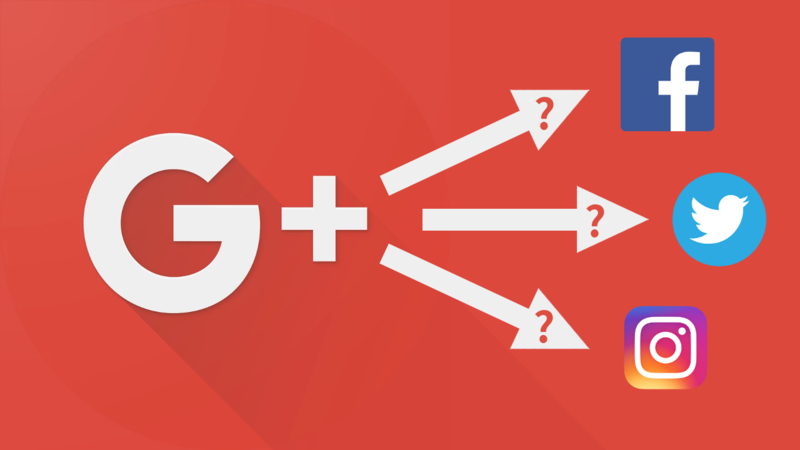 Posted byJonas Hellström	 February 4, 2019 Leave a comment on Leaving Google+ – a multi part story about “the how to what”…? Being a long time, albeit sporadic, user of Google+, it’s with some resentment sadness surprise rage sense of meh I’m now trying to find a new place in the Wide World of Memes. I’m going to ramble a bit about the problem space, where I’m at, and what I’ve been faced with in terms of starting up a blog, that not only I read. The part you’re about to read, is a generic “Where I’m at right now”, and even though I’m going through a process of leaving Google+ by force, finding a new space, this may very well apply to other scenarios. I started out typing this as the only and single post for all of my thoughts and ideas, and experiences, but realised that it would probably wouldn’t ever be published, because I fear that it could be an ever ongoing subject/topic. Given that I’m not keen on either Facebook, or Twitter, and I’m not really interested in letting someone else own my content any more, I believe the only fair option I have, is to run my very own website. Now, running your own website isn’t super hard but it’s not super easy. Especially if a lot of the things you want to accomplish are to type some stuff on a computer and publish it to the world. And, as an added bonus, have and know that you have readers/lurkers that read it. The reason this is easier, is that WordPress exists. WordPress is easy enough to at least type text in, add an image or two, and hey presto, instant words on the Memernet! The reason it’s harder, is that if you want to make sure you own your content, to the extent that you can always bring it with you no matter what (as long as you’re not breaking the law that is), is that you basically need to install, set up and maintain your own web server and WordPress installation, by yourself. Now, very often it’s enough to be semi-owning your stuff; a lot of web hotels offer built in WordPress installations and backup options for you, and unless you really want to know what it’s like to manage all the details that go into this, you’re probably just as well off with a hotel provided WordPress installation. Ok, so you, as did I, decided to go the WordPress route at least. You’re still keen on running your own show, defining your own space and place in the vast web of content creators! You probably don’t have much of an issue with the actual content creation; you got thoughts, ideas, creativity and energy to “just do it”. A few strokes of the keys, an image and whamo; blog post! But you’re missing that electricity to your eco friendly engine; visitors! And boy are those visitors hard to come by! I mean, you know they’re there, and in the millions at that, but they’re awfully shy. Or busy. Probably very busy. With Facebook. And Twitter. And Tumblr. And Google+. And MySpace. So what do you do? How to make these people interested in your writing antics and photographic memess? Well, that’s discoverability in a nutshell; making sure you do whatever you can to make yourself discoverable. The reason the above things are not really something you should do is because they label you and your site as being spam. Not only will they be annoyed and aggravated, they’ll make sure to do whatever is possible to block you in future communication. So, what else is there? Well, here’s where tech can be off assistance, but don’t look at this as a silver bullet; it won’t automatically help you get 5 million readers to get you a fast retirement check. It may help you. And it will cost you something in return; time. You will spend time “groking the technical mumbo jumbo” of different technologies, plugins, services, etc. You will spend time choosing what you want to use in terms of being discoverable. You will spend time analysing and learning how a tool works, to have it work the way you get the most benefit from it. So, I’ll stop it here for now, and hop on to the individual topics in future posts, alright?